I thanked my teacher as she handed me my syllabus. I sighed as I looked down at the sheet of paper that had my class schedule. My last year of school. It felt like it was only last week I walked through the large gates of high school. I remember my mum freaking out making sure I looked perfect for my first day becoming a "proper teenager". I also remember how annoyed I got at her for getting too excited over my first day of high school. But now as I look back I wish I was back to that little dorky 13 year old with my mum beside me making sure my hair was perfectly brushed and my shirt was wrinkle free. But I knew I will never have those moments ever again. “Angelina.” I heard someone hiss my name. I searched my home group, looking for the person who had succeeded at getting my attention. I smiled when my eyes landed on my best friend Louis who waved his hands around viciously. 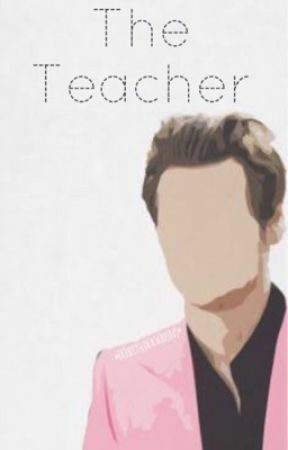 “What class do you have first?” He asked as his eyes flicked between me and the teacher who seemed very intimidating. I raised my finger, gesturing for him to wait while I checked. “History” I replied and laughed when he threw his fist in the air, obviously celebrating the fact we were in the same class but then stopped when the teacher gave us a serious look. After about twenty minutes of the teacher explaining the rules and expectations of the school that we have heard every year that we have been at this school the bell rang, signalling the end of home group and the beginning of period one. “I can’t believe this is our last year of school” Louis said shaking his head as he walked beside me. “I know. It’s crazy” I agreed. We spent another five minutes walking the halls looking for our History class. “Down here!” Louis announced as he grabbed me by my arm pulling me down another hall. We found the class and slowly walked in. “Um… Yeah. I’m here” I shyly spoke. He raised his head from the attendance roll as he looked up at me. Eyes. Eyes. Eyes. That’s all I saw. His eyes were an amazing shade of green. He was so young. No way he’s a teacher. “You’re late.” He bluntly spoke, giving me a disappointed look. British. British. British. He’s British. I groaned on the inside. “Sorry, we got lost.” Louis spoke for me. The teacher nodded his head “Have a seat guys.” He smiled. Dimples. Green eyes, British, dimples. Why? He continued to call out names for attendance as I made my way to the back row of seats. 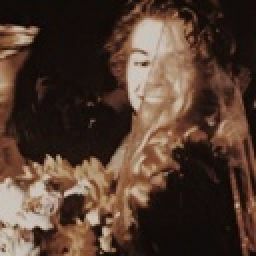 “Oh my god.” I whispered to Louis. “You think he’s hot, don’t you?” He rolled his eyes. “I’m sorry, are you seeing what I just saw? He is beautiful!” I said a bit louder than a whisper. “Oh my god like, totally.” Louis loudly spoke in an overly dramatic female tone. This is why he is my best friend. I definitely do not want to tell the class what we were talking about, especially not in front of you. “No what?” he raised his eye brows. I rolled my eyes at him. He has all these amazing features, but I could tell I was already on my way to his bad side. "Cocky much" I whispered to Louis. "What was that, Angelina?" I could hear the anger in his tone. "N-Nothing." I stuttered, looking down at my books, ashamed of being caught. "Actually, no need for you to repeat yourself, I heard you. You haven&apos;t even been in here for five minutes and I&apos;m already sending you out of my classrom." My head shot up. "No, I wasn&apos;t talking about you, I was talking about Lou-"
"Angelina, wait outside for me." He interrupted me. All eyes were on me as I slowly stood up and walked over to the door. I turned around and looked at him to make sure he really wanted to send me out, he nodded. "No." I bluntly said as I dropped my hand from the doorknob and crossing my arms over my chest. "No?" He asked as he raised his eye brows, clearly surprised at my disobedience. "I&apos;m not leaving the class." I informed him as I made my way back to my seat, surprising myself with my sudden confidence. "Angelina, if you do not listen to me, I will have no choice but to give you a detention." He pointed at the door. I groaned loudly. "God no. Rather not get a detention." I shook my head as I made my way back towards the door. "Would not want to spent anymore time around you" I grumbled under my breath. "And while you&apos;re out there, learn how to whisper because I heard that." He smirked while everyone laughed. I groaned as I slammed the door behind me.